My newest role model is Chiara Corbella Petrillo. I saw Chiara’s story make the rounds in the Catholic blogosphere a year or so ago. I read a bit about her and thought it was a sad story, but moved on as people do when they read something online. Then her book popped up as a recommendation for me. I couldn’t put it down. A Witness to Joy was written by two of her dear friends. It tells the story of her courtship and marriage to her husband and the early struggles they endured together. It continues to tell us about her first child who had anencephaly. Though she was pressured to abort, she did not. Her child was born fora short while before passing away. Her second child had severe birth defects and she was again told to abort. For a second time she did not and her second child, again, died shortly after birth. The third time Chiara became pregnant, she had a healthy son. Unfortunately, it was Chiara who was sick this time. She found out that she had Cancer. Because she knew the life inside her would be affected by treatment, she postponed until she had given birth to her baby boy, Francesco. 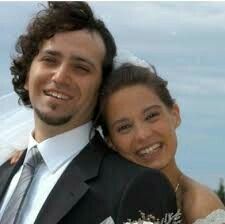 Chiara’s treatment began too late and she died shortly after Francesco turned one. 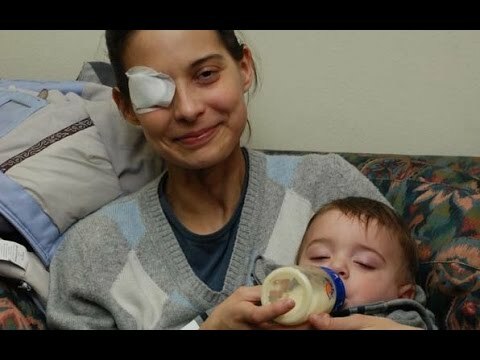 The suffering she endured during her fight was incredible, but her trust in God’s plan was perfect. Chiara’s life is beautiful. The suffering she endured for the lives of her children is admirable. But do you know what I love most about her? I see myself in her. She did not die a martyr. She was not seeing visions of Mary. She did not create great orphanages for the less fortunate nor did she sneak food out of her home against the will of her husband to feed the hungry. She DID live her life in joy and complete trust in God’s will, she DID give up her life for her child, and she is a regular person. She had sadness, anger, pain and fear. She had nights of sobbing and staring at her statue of Mary and days of pain and exhaustion looking at Jesus on the cross. She lived as a Catholic should, and for that I am grateful for her life. She shows me that there are still good, loving, and true Catholic people out in the world. I can only hope to be more like her. Though I have not yet experienced any great suffering, I hope that I can handle my little daily sufferings with more grace and joy as she did and learn to trust that God has me wrapped tightly in His arms. 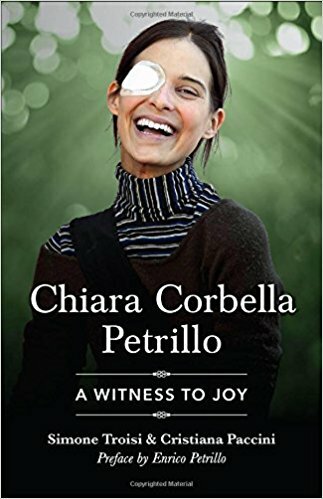 Chiara Petrillo, through her life, shows all of us what it takes to pick up our cross and carry it to the very end. I absolutely recommend this book for all adults and older teens. I continue to BEG Catholic high school teachers to give more Catholic reads to their students. How the lives of good Catholics can change young people’s hearts! There are none with this book. How was Chiara’s courtship with Enrico similar to the courtship of many people? How did she trust God with her vocation? How is Chiara’s reaction with the news of her pregnancies a very human response? How is her response different than how you might act? Chiara’s body is compared with Jesus’s body on the cross. Do you feel this is an appropriate comparison? Why? Why not? How is Chiara’s trust in God a courageous choice? In what ways can we try to be more like Chiara? Read this article about Chiara from the Catholic News Agency. Spend time on this website dedicated to Chiara. There is even a place to leave a short note asking for her to pray for your intentions. Read this short article about Chiara from FOCUS. The letter she wrote to her son is included. There are quite a few videos of Chiara giving talks about her trust in God. You can find them easily on YouTube. Read about St. Gianna Molla, a saint who, like Chiara, waited until she gave birth to her child to receive treatment for Cancer. You can read about her here. Learn more about what redemptive suffering is and how it can help others. Read about it here. Read about the difficult cases in dealing with abortions. You can read about it here. This lesson plan about biographies would be great for high schoolers. This lesson would lend itself to students reading biographies about multiple Catholic people and teaching others about them. (One can dream that this would happen in a Catholic school, right?) Find the lesson plan here. This is a really cool higher level study of biography. One of the biographies could be easily switched with Chiara’s story. Find the lesson plan here. Have students write an I-search paper to practice their writing skills. Have them focus specifically on a moment of redemptive suffering in their lives. You can find a great lesson plan here. where can I get this book and also the Our Lady Of Guadalupe? You can find this book on Amazon! It’s also sold at many Catholic book stores. I’m not sure which ‘Our Lady of Guadalupe’ to which you are referring. I’m happy to help, just let me know! Great review. I’ll have to check this one out. Thank you! Yes! I read about her first actually. She was the first person I heard named Chiara. Then I started to follow the story of Chiara Corbella Petrillo and I just love her. So much suffering for both of them, yet their faith remains strong. I can only hope I can be as strong when my time comes. And I hope the same for my children.